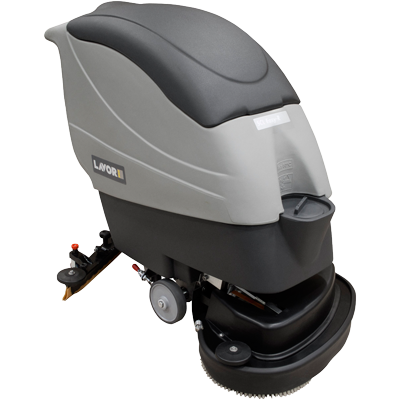 The EASY66R Scrubber Dryer is suitable for the maintenance and deep cleaning of large areas. 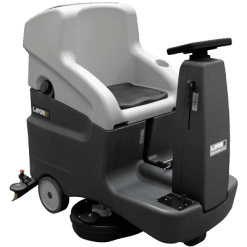 The scrubber machine can clean approximately 3000 m2 per hour and has up to 3 hours runtime with its 2 x 12V Batteries. 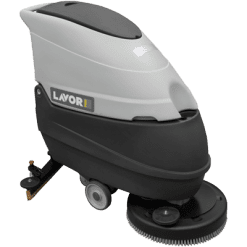 In addition it comes with a scrubbing width of 660MM and squeegee width of 800MM. A 5 speed gearbox gives different speeds in both forward and reverse allowing for very easy operation. The scrubber machine also has auto shutoff when the recovery tank is full, providing protection for the vacuum. Large detergent tank capacity (67L) with a large filler cap which is easily accessible on the front of machine. 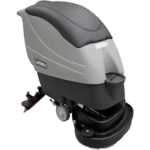 The scrubber machine has a user friendly control panel with forward speed setting, scrubbing and vacuuming selectors, battery charge indicator, traction direction indicator and key main switch. 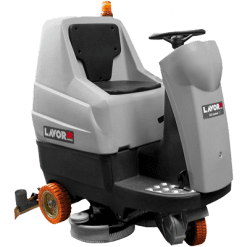 Primarily suited for medium to large mechanical workshops and small automobile dealerships. Also suited to large areas such as in hospitals, clinics and large retail stores.